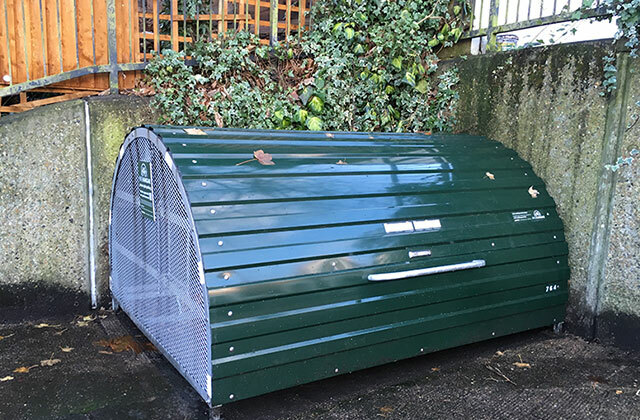 Bike hangars – a good thing? We have two – only two! – bike hangars in the Forum area. Are they a good thing? One hangar (on Hillcrest) is reportedly well-used while the other (on Winchester Road) is not. The lack of hangars is odd as, as the map shows, there are hundreds east of Highgate. Why the difference? We don’t know. Perhaps it’s just that people in Highgate don’t know about the possibility? Perhaps there are few cyclists among us, or perhaps we have more gardens, sheds or hallways in which to store the bikes? We want to advertise the existence of the Winchester Road hangar (see image below). 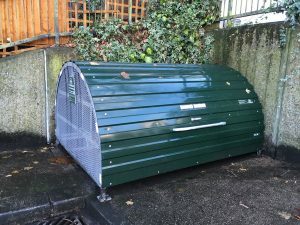 The local residents’ association (CARA) is keen that it is fully used. Use it or we might lose it. Finally, if you think your street could do with one – and there’s a space to put it – here’s what you need to know. 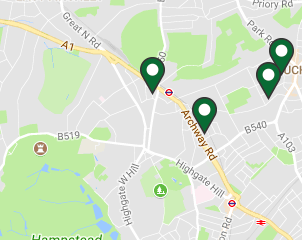 The company that does them for Haringey is Cyclehoop (that’s where our maps above come from) and the details of the Haringey scheme (and how to apply) are here. We encourage people to request a hangar for their road from that page. It might be a good idea to let us, and the councillors, know that you have done so in case we are able to help. Camden seems not to be so supportive of hangars even though there are a few Cyclehoop hangars installed (see here). 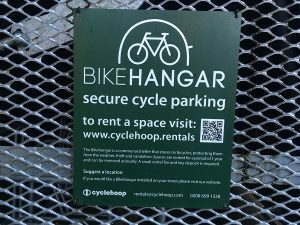 We have asked councillors to ask Haringey to update its web page which currently says: “The next round of funding for Bikehangars will be in the 2017/18 financial year; this is subject to the approval of the Sustainable Transport Works Programme which is not expected until May 2017. Therefore, the new priority list of Bikehangar locations is likely to be selected by July.” A clearer sense of current policy would be helpful.